Goblin Dark-Dwellers in Modern and Beyond! 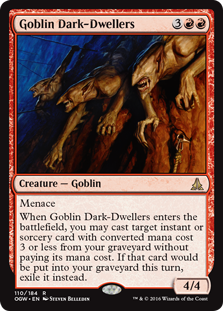 Goblin Dark-Dwellers… Standard standout and now cross-format All-Star! Goblin Dark-Dwellers has been a solid Standard performer almost since its first appearance in Oath of the Gatewatch. 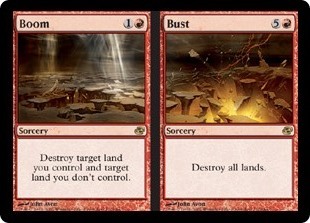 But with the recent adjustments to the Modern metagame — away from Eldrazi and loosening the fetters on Ancestral Vision — the menacing five drop has come front and center in that larger format, too. 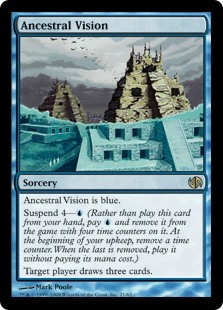 If Ancestral Vision is in your graveyard, you can play it immediately and “for free” by playing Goblin Dark-Dwellers. Ancestral Vision was not great in and of itself for Patrick, but it is very powerful with our centerpiece five drop (and great in the mirror). One of the things that makes this deck cool is that Serum Visions can put Ancestral Vision on top of your deck… So you can mill it away with Thought Scour (and then re-buy it with Goblin Dark-Dwellers). 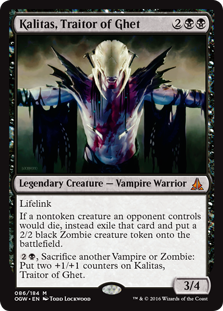 One card that would have made this deck better is another Standard standout… Koziliek’s Return! Patrick lost to Master of Waves twice, and Etched Champion once; Kozilek’s Return looks red but is colorless rules-wise… So much for Protection from Red (or other colors). Patrick and Michael riff on the Boros Reckoner / Skred angle, talk about how Countersquall is sometimes a Time Walk, debate the best ways to beat Nahiri, the Harbinger / Emrakul decks, killing the opponent on the third turn with Knight of the Reliquary, and shout out to now-qualified good friend Lan D. Ho. Also how Mike is a ghost. P.S. In this episode we state Grand Prix Charlotte winner Andreas Ganz played 62 cards; this was a result of a typo online. Ganz played only two copies of Temple of Enlightenment and 60 cards overall. Our apologies — and congratulations! — to Andreas. Toxic Deluge is our exclusive Eternal Masters preview card! Toxic Deluge is a card that has never been legal in regular packs for regular [Standard] play. This is a card that was originally printed in the 2013 Commander product; but like Scavenging Ooze and True-Name Nemesis has found multiple homes in multiple competitive Constructed decks. 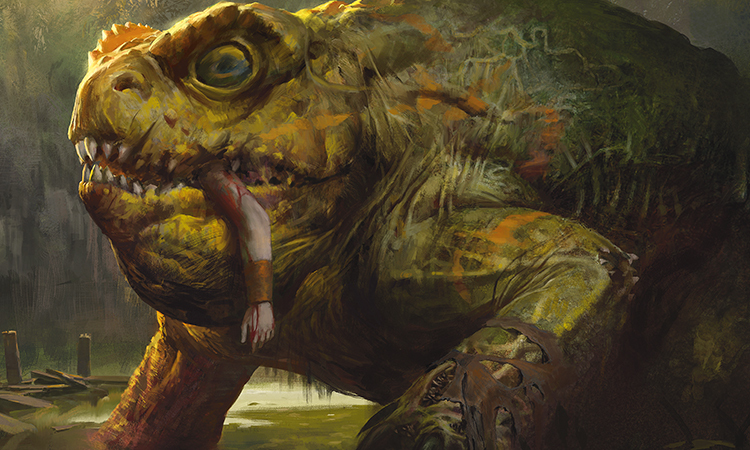 Doing one better than even the storied Scavenging Ooze, Toxic Deluge has seen heavy play in both Legacy and Vintage, often as a sideboard bullet. Toxic Deluge can go wide or tall. It is one mana cheaper than Languish when you need a Languish… and in fact one black mana cheaper than a Languish. It is a sweeper that can go way over Languish’s -4/-4. It is good against Mother of Runes, and in fact Mother of Runes-based strategies that can tax a defender’s speed. It can go not just tall, but very, very tall. Facing down Emrakul, the Aeon’s Torn? If the opponent isn’t somehow smashing you with a Time Walk or a hasty attack (i.e. from a Show and Tell) Toxic Deluge can kill even a 15/15 creature! Do you have to pay fifteen life? Sure; but you would have had to pay fifteen life anyway, right? Toxic Deluge can kill indestructible creatures! Blightsteel Colossus — or in some cases even a Marit Lage token — can be flooded out by this sorcery. Toxic Deluge can kill lots of creatures… But can work with your own creatures sometimes! Give everyone -1/-1 and you can kill the opponent’s Snapcaster Mage and True-Name Nemesis… But leave your Tarmogoyf and Knight of the Reliquary! Because it costs exactly three mana — and is a black card — Toxic Deluge is a good match to the popular Dark Petition… And especially perfect as a one-of for a strategy full of “Tutor” cards. 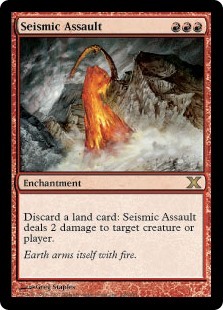 If you discard a land card to Seismic Assault with The Gitrog Monster in play, you can draw a card. 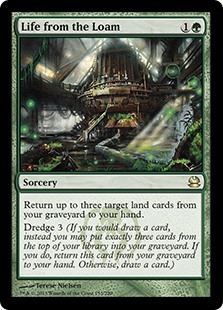 If that land is Dakmor Salvage, you can dredge it back to start the cycle again! You can do this over and over (assuming you don’t run out of library) making 20 from a Seismic Assault on turn five require a trivial amount of materiel. 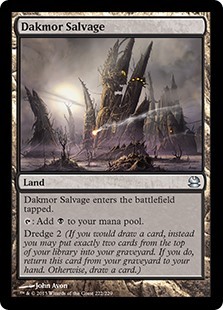 In fact, Dakmor Salvage has Dredge 2; that means that if you flip over another land while dredging, you will actually draw even more cards! This configuration may be superior to previous versions of Assault-Loam because The Gitrog Monster allows you to win outright, instead of just grinding it out with card economy and a large positional advantage. That makes this version less vulnerable to instant kills from opposing combo decks. At the same time — unlike other combo decks — all the cards are good, and synergistic with each other even when you don’t assemble an instant kill. Not an immediate, sure, kill… But still very card advantageous. The historical “combo” of these kinds of decks… Great generally, usually sure to win a long game, flexible, and of course advantageous. Cute — maybe even very “good” — that you can use Liliana, discard a land, and draw a card while the opponent only discards. Liliana of the Veil might be key if Bogles makes a Modern comeback. 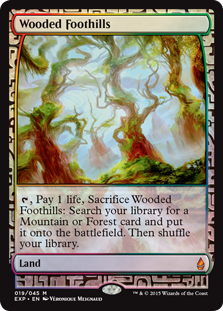 Fetchlands already define Modern in large part… Now they can draw cards, too! 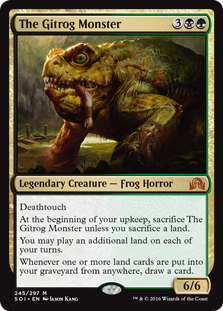 Score another synergy for The Gitrog Monster. Eldrazi Displacer does an insane number of awesome things. Take note! It is a great hit off of Collected Company. Why? It costs three mana. End. It’s about the same size for about the same mana as Bounding Krassis, but has a stronger long-term impact. When combined with Brood Monitor and Zulaport Cutthroat, Eldrazi Displacer can win the game on the spot. The Brood Monitor puts three colorless Eldrazi Scions onto the battlefield, which you can sacrifice to activate the Eldrazi Displacer (to blink the Brood Monitor), which means the opponent will be drained for three life. If you have Catacomb Sifter instead, Brood Monitor and Eldrazi Displacer can help you cycle through your whole deck. Same deal — three tokens for three mana each cycle with the Displacer’s ability — but instead of killing the opponent on the spot you can scry over and over and over again. When the opponent invests a ton of creatures (and a ton of mana) to flip a Westvale Abbey… Eldrazi Displacer can easily punish the seemingly indestructible Profane Prince. Even when it is less flashy than blinking / tapping / even flipping a key threat, Eldrazi Displacer can just defend, Icy Manipulator-style. So, you know, the boom boom. Lots and lots of things going on this week. What deck did Mike play at Grand Prix New York? Where did he get it? What card does “everybody” like but Mike thinks is horrible (or at least was horrible for him this weekend)?Pretty good story, this. “Getting down” aka going ultimate with Nahiri to get an Elvish Visionary! The clean living of Sam Black’s B/G Ramp / Control deck… Patrick doesn’t want to live in a world where this isn’t the deck to play. … So why are we calling Kalitas poor and unappreciated? Kalitas, Traitor of Ghet is everywhere — Esper Dragons, Grixis Control, Orzhov Control — but the prevailing narrative is still around G/W Tokens! Here’s the thing about Tetley’s deck… Since Kalitas is the only creature in this deck, it is really, really likely to die. The most popular removal — Ultimate Price, Grasp of Darkness — all kill Kalitas, and there is no one to draw off fire before it shows up. Patrick and Michael talk about even more Kalitas, Traitor of Ghet-featuring decks than these… As well as a new Dragons brew by MichaelJ!